Kavanaugh confirmation hearings are coming up. Here’s what you can do to stop them! In the next few weeks, the US Senate is set to hold hearings and vote on Brett Kavanaugh’s confirmation for SCOTUS. Trump’s nominee, Kavanaugh, poses a direct threat to our freedoms. Healthcare, racial justice, immigrant rights, voting rights, and LGBTQIA+ rights are on the line. We must do all we can to stop Kavanaugh’s confirmation. 1. At the moment, the Senate has not had access to all the records of Kavanaugh’s policy experience and government service. To make an informed decision on his suitability, there needs to be full transparency about his record. Sign this letter by the ACLU asking that the Senate demand they be able to fully examine Kavanaugh’s policy record. 2. On Sept. 4th, a coalition of 20 women’s organizations, including Women’s March, will engage in Cancel Kavanaugh - a civil disobedience action in DC to protest Kavanaugh’s nomination and remind our Senators that women across America are watching. To sign up to be part of this action, or to find out more information about it, see here. 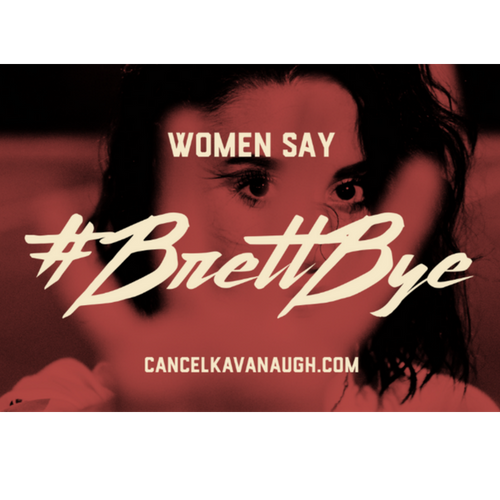 Donate today and be a part of helping women from across the country travel to DC and #CancelKavanaugh! 4. The Wire Hanger Brigade is sending wire hangers to the 13 undecided Senators who can swing the vote on Kavanaugh’s nomination. Join this excellent campaign by choosing which Senator you want to target, writing your letter to them and the Wire Hanger Brigade will do the rest. See here for details.